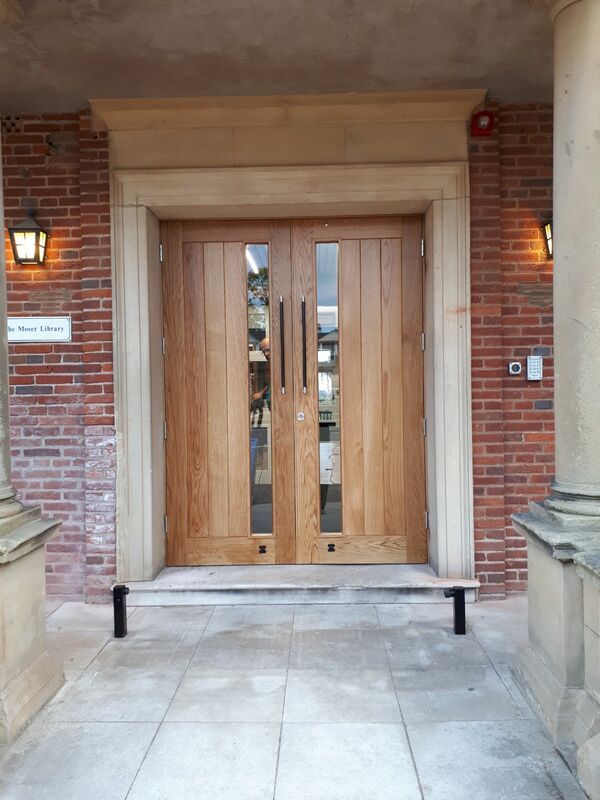 We were appointed to supply all bespoke joinery for an extensive refurbishment of Moser Library at Shrewsbury School. 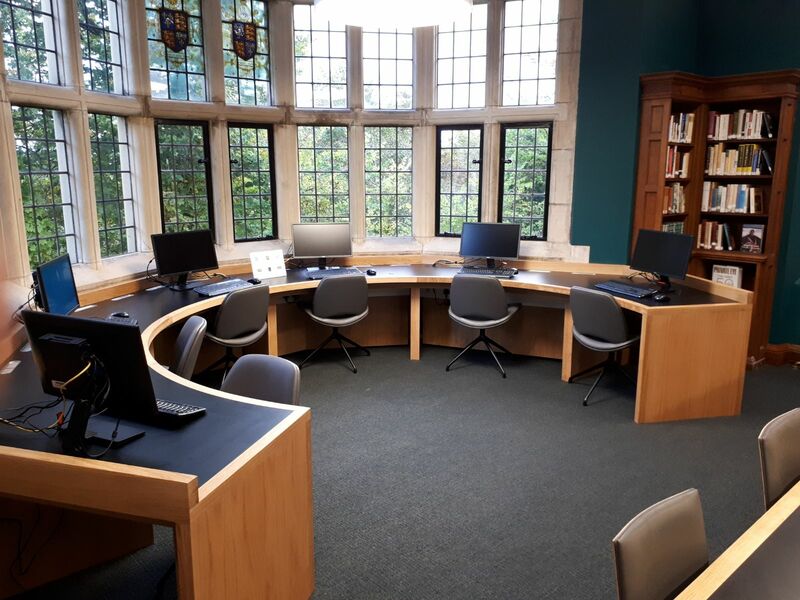 Steve Granda, our Joinery Manager was contacted by Shrewsbury School in the Autumn of 2016 regarding the planned refurbishment of its historic Moser Library. Various design meetings followed with architects, consultants and representatives from the school all being present. 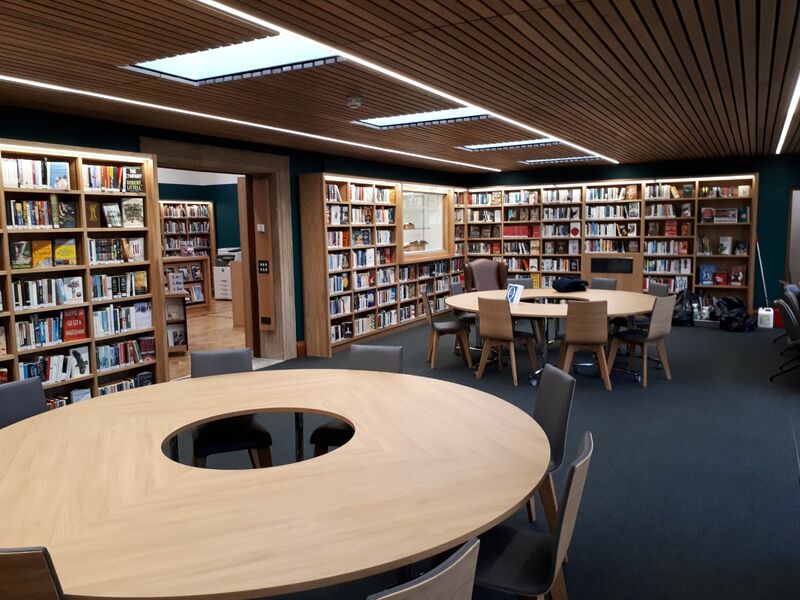 The brief was to bring the library into the 21st century as a place for students to study, with state of the art lighting and more user friendly shelving to house more than 30,000 books. Designs for bookcases with adjustable shelving, desks, counters and display units were drawn and subsequently, Morris Joinery were nominated as the supplier for all bespoke joinery items for the project. Workshop manufacturing commenced in April 2017, with our highly skilled joiners handcrafting all items in European Oak with Formica laminated desktops. The project required close liaison with the other trades involved in order to seamlessly incorporate LED lighting and fittings. Following manufacture, all joinery received a hard wearing clear lacquer finish applied in our own spray booth. 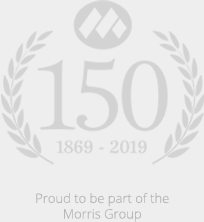 Fitting was carried out on site as part of an 8 week building programme by our sister company Morris Property which included the installation of a mezzanine floor for an additional study area and solid oak staircase. The completed Library was extremely well received by all parties and far exceeded the schools expectations. The project was completed on time and handed over to the school on September 30th 2017.